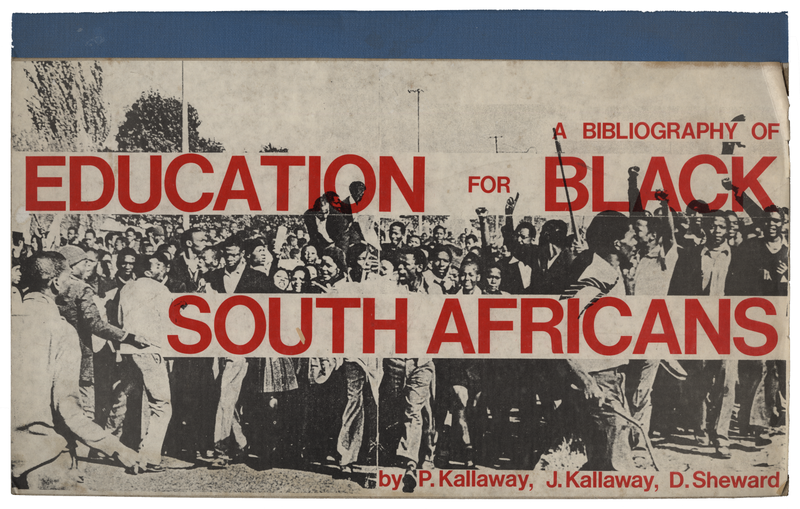 EDUBASE is a database of educational information relating to the field of black education in South Africa, covering the period from the nineteenth century to 1992. The resources curated by the EDUBASE collection including books and book chapters, journal articles, conference papers and presentations, white papers and other forms of governmental and civil society documents. In total, EDUBASE includes nearly 9000 publications on the topic of education for black South Africans. Originally located on the UCT servers in the 1980s, the EDUBASE collection has migrated from format to format (floppy disks, stiffy disks, CD-ROMs and a flashdrive) and is now available openly on ZivaHub. The funding for EDUBASE was made possible by the authors of Apartheid and Education who agreed to donate their share of the royalties to a fund that was established for this purpose. Various people have worked on the EDUBASE over the years, including Jackie Kallaway, Deirdre Birch, Vera Hulley, David Hiscock and Debbie Sheward. Additional thanks are due to Gary November for his digitisation services, and Adrianna Pinska and Corne Oosthuizen for their support in migrating the content from the original .mdb files to more open .csv spreadsheets. To access the EDUBASE collection, visit the record on ZivaHub, or for a quick summary check out the Figshare case study.